Three hundred of the 1,300 students who graduated from Chandler-Gilbert Community College this spring participated in the 25th annual commencement ceremony at Sloan Park in Mesa on Friday, May 13. Each student was recognized for their accomplishment as they made the traditional walk across the stage to receive their diploma and a congratulatory handshake from CGCC administrative staff. The ceremony featured live musical entertainment by student jazz vocalists and remarks from featured student speaker Zoya Oyzerovich. Among the total graduating class were 93 veterans, 625 students with a GPA of 3.25 or higher and 150 members of the Phi Theta Kappa International Honor Society. 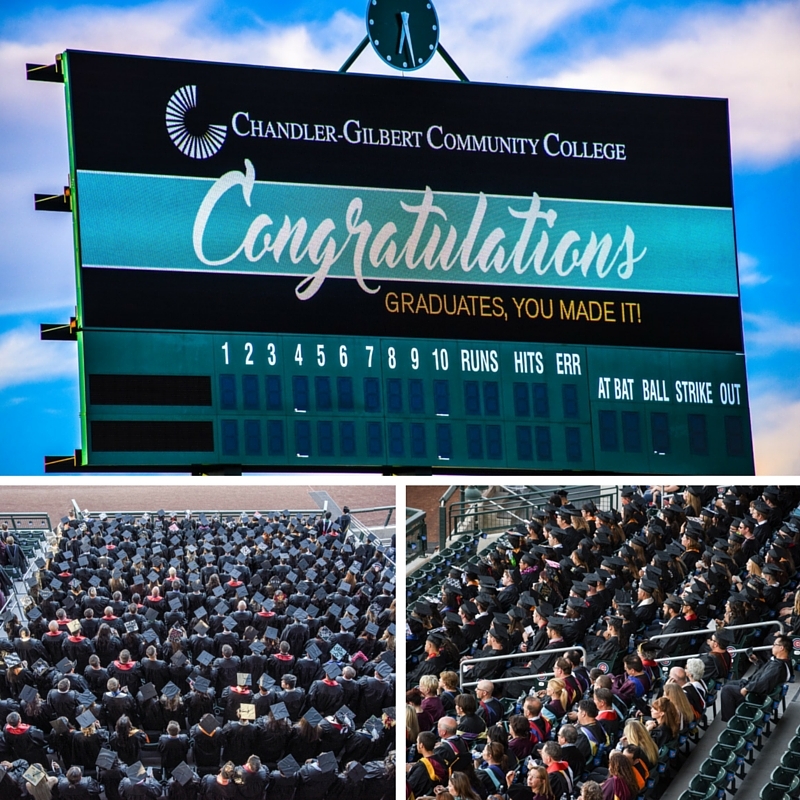 "We are extremely proud of the Class of 2016 and wish them the very best in their future endeavors," said William Guerriero, CGCC Interim President. "We hope our graduates look back on the time they spent at CGCC as a great educational foundation on which to build. We know they will do great things!" The week prior to graduation, 44 students were recognized for their academic accomplishments at the 12th annual Evening of Excellence awards ceremony held inside Agave Hall. CGCC awarded over $11,000 in scholarships from the Arnette Scott Ward and the Champagne and Chocolate foundations.